Many American consumers are sometimes confused about Chinese dumplings and potstickers. In fact, during a photo shoot session for steamed dumplings, one of the food stylists told me the dumplings were “upside down”! She was alarmed that they looked uncooked! Then it occurred to me that many Americans’ first taste of Chinese dumplings or potstickers were pan fried, with a crusty brown bottom., served on a plate with the crust showing. Potstickers are pan-fried dumplings, and during the process, often get stuck to the pan, and thus the name! Therefore, some may not even have tasted dumplings steamed! Indeed, fried foods appeal to the average American more than plain steamed dumplings. 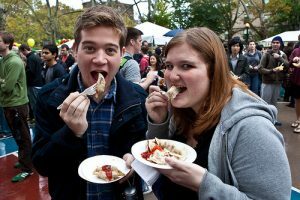 But pan frying or deep frying dumplings, while perfect for entertaining, may not be the only ways to enjoy dumplings. In my household, we often have dumpling wrapping as family affair, and my daughters used to keep count who could eat the most. Our way of cooking is real simple – toss wrapped dumplings into a pot of boiling water until they float. We would choose our dipping sauces – ranging from regular soy sauce with oil to chili sauce, or if we feel like splurging, some XO sauce. If you’re health conscious, try wrap you own with quality fillings – which can be ground pork with vegetables, ground chicken, seasoned with fresh herbs, chopped mushrooms, bamboo shoots, ground ginger. Meatless ones are great too. Tang’s Natural, manufactured in Brooklyn, New York, sets the new standard for precooked dumplings and noodles. The whole wheat wrappers and use of choice ingredients such as Bell & Evans chicken make them a league of their own. If you’re into making fresh dumplings at home, their Tang’s Natural wrappers should be your choice too. For dumpling connoisseurs, wrappers should not be too thick to fill you up with dough, but should not disintegrate when dunked in boiling water. These wrappers come in oval and square shapes for different regional styles. They are honestly your best bet. I usually have some in my fridge as a standby ingredient, when I am out of ideas of time to cook dinner. With children’s diets being closely examined and questioned these days, I think packing some dumplings for school would be an excellent option. You can put protein (even tofu) and vegetables all in a tasty package appealing to kids of all ages. It’s what I called tasty, fun food that is healthy and not junky! Consider having a dumpling wrapping party for children for special occasions. I believe teaching children how to cook properly is one life skill that will serve them a lifetime of good. So you think you know what Chinese food is? Have you tried Qingdao style cuisine? M&T Restaurant in Flushing serves up this northeast Chinese coastal city’s fine cuisine. Being that it’s a coastal city, most of what they eat comes from the sea. Although Qingdao is commonly known for its namesake beer, Tsingtao, they have to be eating something to accompany the beer that they drink. M&T is not a fancy place, and you could easily mistake it for just another Chinese restaurant in Flushing, but what a wonderful surprise. I think the best food always comes out of small, hole-in-the-wall type of places, and this is definitely one of the best. Opened by Ms. Mei and Mr. Tang (hence the restaurant name M&T), the food served in this quaint restaurant serves what the couple considers comfort food, as a reminder of their hometown Qingdao. We asked Donna for recommendations on what to order. The menu is very simple and straightforward with no real descriptions to tantalize your palate, but everything that we ordered was definitely special, different, and very delicious. “Qingdao Cold Noodles,” described as “cold pasta with special sauce,” is one of the most popular signature dishes at M&T. Made from seaweed imported directly from Qingdao, the noodles are a result of extracting the gelatin from the seaweed after hours of stewing. Served chilled, the cold pasta isn’t even technically a noodle, but rather consists of rectangular cubes of jelly with a buoyant bite. It’s a really refreshing dish served with shredded carrots and cilantro sitting in a vinegar sauce with lots of garlic. The shrimp and cabbage dish was sautéed in it’s own roe, which gave it a lot of flavor. We also ordered eggs sautéed with clams and scallions. The eggs were scrambled to perfection and the clam juice that came out of the clams being sautéed with the eggs made this dish extra tasty! The squid with garlic shoots and chili was juicy. The squid was soft and tender, and the garlic shoots complemented the sautéed squid so well, and the chili gave it a nice little kick of flavor. And, like all of the seafood we were having, it tasted as if everything was caught that day — fresh and delicious. In addition to what we ordered, Donna gave us a few extra dishes to try including pickled lotus roots, fish that was flash fried, which was a bit sweet and a little salty, and sweet pumpkin pancake fritters. With the warm weather, it’s nice to eat a meal that tastes fresh, light, and unexpected. Go check out M&T and you will see that Qingdao has so much more to offer other than good beer. Trouver après une heure de marche en forêt, dans un champ, dans des vignes… un vieux clou de sabot, un ancien bouton de veste, une médaille, une pièce… est un trésor. Ne compter pas faire fortune avec un appareil de détection de métaux ! Compter plutôt sortir, prendre l’air, marcher, respirer le grand air, écouter les oiseaux chanter ou les cigales et avec un peu de chance, de détermination, déterrer un petit objet en métal. Cette année, pour les vacances et aussi pour me faire plaisir et passer plus de temps avec mon père, j’ai décidé dans acquérir un… mais lequel ? Tout d’abord j’ai flashé pour un White’s. Pourquoi ? Parce que je voulais un détecteur avec écran digital qui indique les cibles et cet appareil semble bien différencier les cibles. Puis en parcourant le Web et les vidéos je suis tombé sur les teknetics. Tout d’abord le Teknetics 4000, puis le 6000 puis le 8000… puis le T2. C’est ce dernier que j’ai choisi. Pourquoi ? A cause de sa fréquence de 13KHz, un compromis entre les basses fréquences et les hautes fréquences, ce qui en fait un détecteur polyvalent. Au début, j’ai eu beaucoup de mal et beaucoup de doute sur l’appareil et puis en le testant pour la première fois sur un terrain que je connaissais bien, dès les premières minutes, j’ai sorti de terre deux billons à 15 cm ! Là ou le SCOPE ne voyait rien… et puis plus loin d’autres pièces… Rassuré par les qualités du T2 par une meilleure maîtrise des réglages et du sons produits par l’appareil. Ce qui ne peut qu’augmenter l’envie de Daniel de changer d’appareil pour un appareil de nouvelle génération (sans doute plusieurs après son SCOPE). Après une petite négociation entre nous et des encouragements de ma part, nous sommes allés acheter le XP GoldMaxx Power chez M. Billard revendeur de XP dans le 30. Monsieur Billard est très sympathique, très compétent et pédagogue. C’est lui même un passionné qui vit de sa passion et de l’or qu’il trouve en France et ailleurs ! Nous voilà armé pour découvrir le trésor des templiers… enfin l’espoir fait vivre ! Barry Friedman talks with company entertainer Tom Crowl about how a nutritious diet that was gluten free helped his mobility. Later he determined to surrender processed and refined sugar for a sugar free food plan as nicely. On this clip, it’s straightforward to see his power degree has skyrocketed – identical to his profession. I went off gluten, I went off all wheat merchandise. I might advocate everybody give it a attempt for 2 weeks, no pizza, no beer, no pasta, no cookies, you realize, any of that stuff with wheat in it. Hey, two, two weeks, give it a attempt to see for those who really feel higher. After two weeks I used to be leaping off this wall we’ve out right here with my son. I could not even take a look at that wall with out my knees hurting earlier than that. So yeah, that is been two and a half years. After which Leap Day of 2012, February 29th, I assumed what am I going to leap, I stated I’ll haven’t any sugar at this time. And I went on FaceBook and stated who needs to do thirty days with no sugar? And I had 5 individuals write me inside a few minute. And Christmas Day 2012, I do know these movies you’re doing are going to be round eternally as a result of their superior and essential, so Christmas Day 2012 was 300 days. So, I do not assume I am going to return to sugar, you understand, its very straightforward to reside with out. So I simply, I do not eat something with processed or refined sugar in it. A nutritious diet provides you the power you’ll want to run a enterprise. Taking good care of your self lets you take higher care of your loved ones and shoppers. Barry’s dwelling proof of the outcomes that may be achieved with a gluten free, sugar free food regimen. It may seem far-fetched to prepare and serve a traditional Japanese meal at home if you did not grow up in a Japanese household. How about some assorted sushi rolls as appetizers? Put some fancy tempura on the menu for your guests? Today, thankfully with the help of Japanese supermarkets and clearer labels on many products, preparing a Japanese dinner at home is no longer out of reach. I love serving ramen for a quick dinner, or take home some assorted sushi and sashimi occasionally. We’re talking about some of my favorite things here! 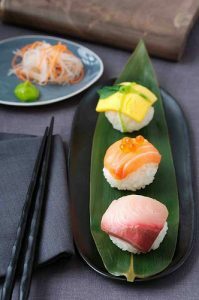 But if you want to take that to the next level of sophistication, then learn from a real pro who is essentially the Japanese domestic diva with all-round culinary skills – Mamie Nishide, your take-home culinary teacher. Born and raised in Japan, Mamie Nishide is not just passionate about teaching students about the finer points of preparing cuisine from her native country, she is also an accomplished educator on French, European and New American cuisines. You’ll see her touches in many gorgeous food photos, as she is a food stylist too. Mamie-san is also the Japanese Miss Manners. 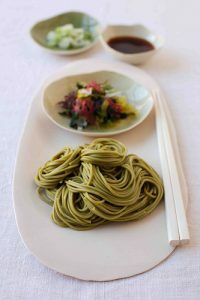 In her lessons, she offer tips and techniques on the whole gamut – from how to hold your chopsticks, to dining etiquette when enjoying a meal in a sushi restaurant. Last summer my car had broken down but i needed it to drop myself off at fusion food festival and to get to my restraurant. I had no saving and i was forced to get instant payday loan at hryloanz. Working as a chef in Hampton, New York, and also in New York City, Mamie-san is in high demand for special catering and cooking lessons at her Japanese Cooking Studio. In addition, she has created an online sweets shop – Gotta Eat Sweets, offering some extraordinary sweets and to-die-for desserts including her irresistible Truffipops! 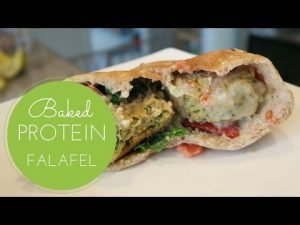 Excessive Protein Baked Falafel – Vegan & Gluten Free! I really like falafel however I hate the mess of frying it (to not point out all the added fats and energy). 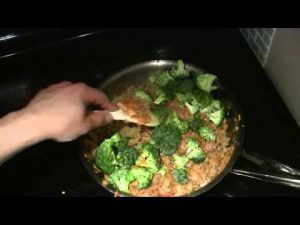 This recipe is simpler, quicker, and more healthy. Plus, every little falafel chew has round 9 grams of protein (I often eat 2-Three in a single pita pocket … so once you add within the veggies, that’s 30+ grams of protein!) Take pleasure in! Mix all the components EXCEPT for the chickpeas and almond meal in a meals processor and pulse till parsley is in very small items. Add the chickpeas and proceed to pulse till the chickpeas are mixed with the parsley combination. Take away from the meals processor and add between ⅓ and ½ cup of almond meal till the combination varieties a mushy dough. Form and place on parchment paper. Bake 375 for 30 min, flip midway via. Serve with lemon tahini sauce! 7. As every thing begins coming collectively, the final three steps are so as to add your rice, add slightly yogurt to melt and half a lemon/lime so as to add some acidity. eight. Placed on plate, wait till it cools and eat half! Joyful consuming!